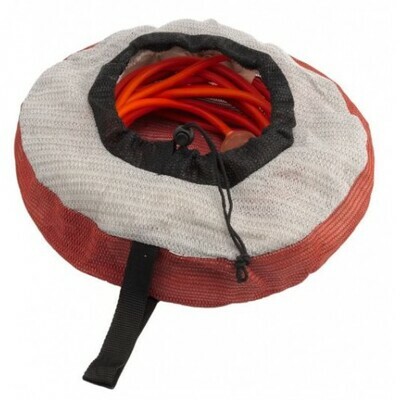 Suitable for up to 20m Electrical Extension Lead, this bag is made of highly durable woven shade mesh which is free draining and moisture resistant. Great for Camping, Caravaning and the outdoors in general. I purchased an electric lead bag for our caravan. The bag keeps the lead neat and tidy. The service provided by campsmart with their delivery was outstanding. It arrived in about 2 days.